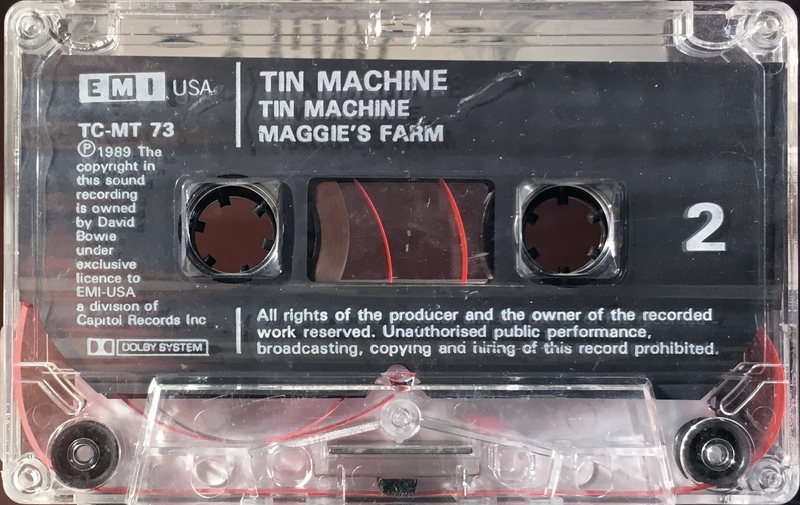 Tin Machine/ Maggie’s Farm: UK; EMI USA, TC-MT 73; 1989. Card slip-case; picture front with white header and footer an rear panel and white sides. Track list on rear panel. 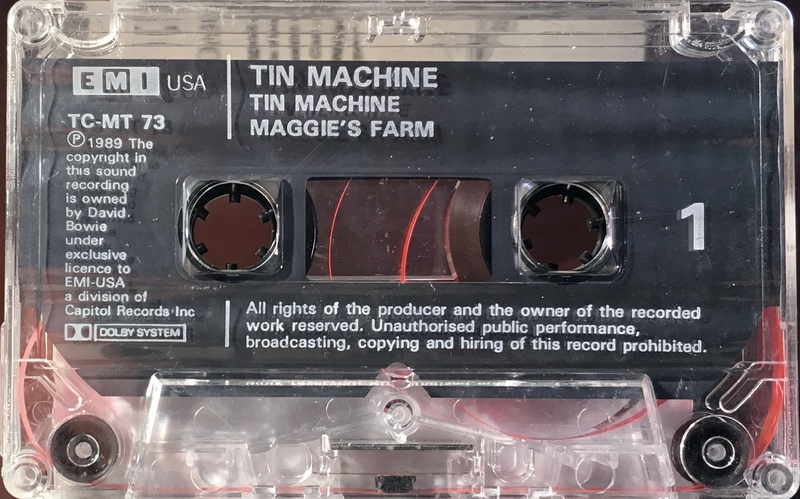 The rear cover has a barcode and ‘EMI USA’ logo. Both sides are the same. White ink printed directly onto clear shell with shaped slip sheet and ‘EMI USA’ logo on shell. 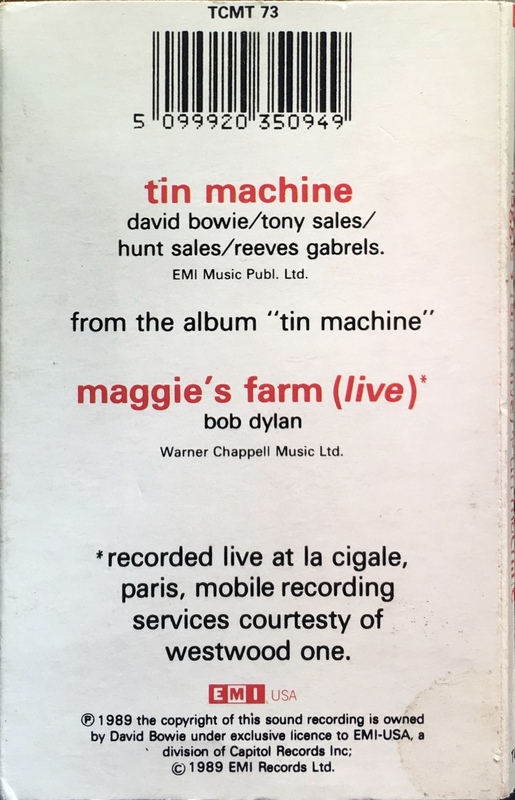 Side 1: Tin Machine; Maggie’s Farm (live). 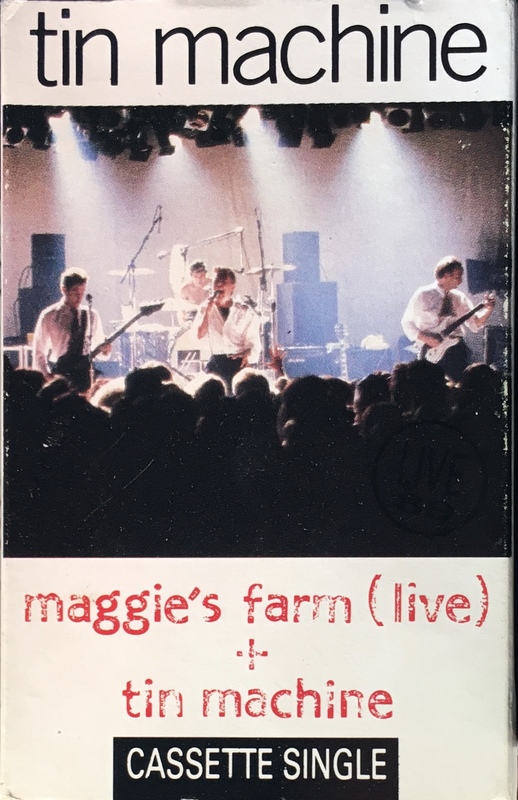 Side 2: Tin Machine; Maggie’s Farm (live).